There is something truly magical about book stores. 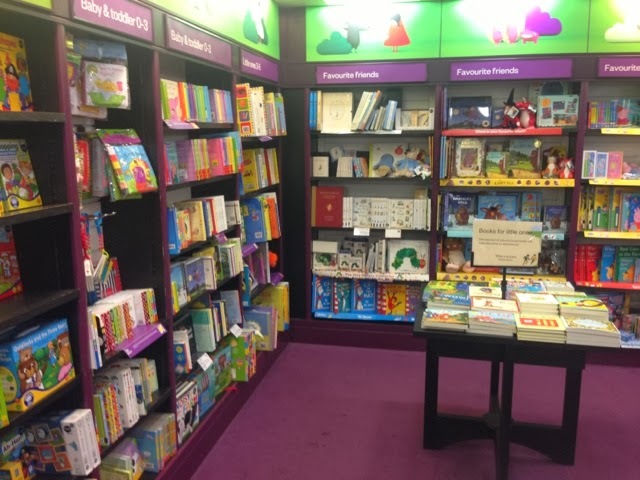 I love to visit Waterstones regularly with the Mini Mes to select something new to read. Opening the door you can almost smell the fresh pages longing to be read with the colourful covers and shelves stacked neatly. Maybe a flying rocket adventure, a mystery solving hardback or a fun filled book with jokes and interesting facts. 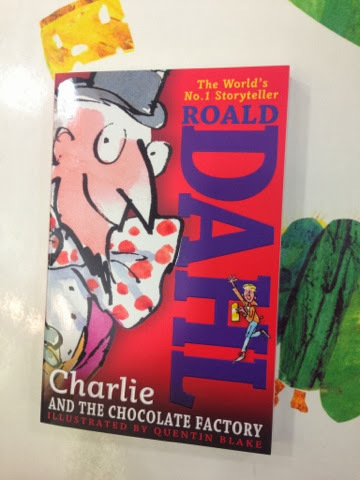 We all have our own collection of favourite books to curl up with at home and enjoy too, especially on rainy days like today with a hot chocolate! The great thing about books is that they can really inspire you and change your perspective on certain things. There are some that might get you cooking or crafting and others that encourage you to go out and try something new. 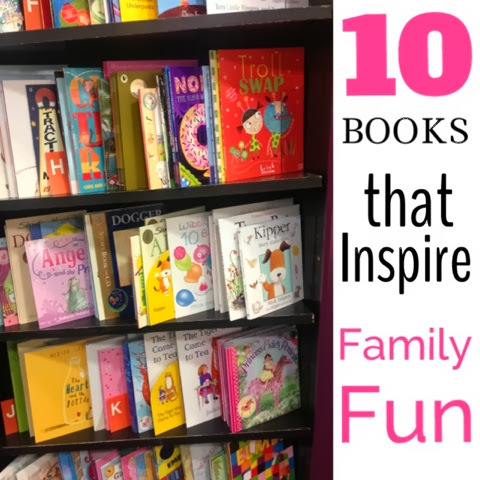 This is our reading list for inspiring family fun! With beautifully illustrated pages this book tells the story about a Ladybird that overhears the plans of two burgulars and then manages to save the day with the help of it's farmyard friends. There is a great map within the book and it's a lovely idea to create your own with the kids and maybe hide some treasure in your home to discover! You might also want to play Chinese whispers and see what the last person thought they heard being said. This funny and not very frightening trio are keen to find someone to scare but as they leave their dark dark cellar they soon discover everyone is asleep! This is a lovely humourous tale and the language is quite repetitive which is great for little ones that want to read along with you. 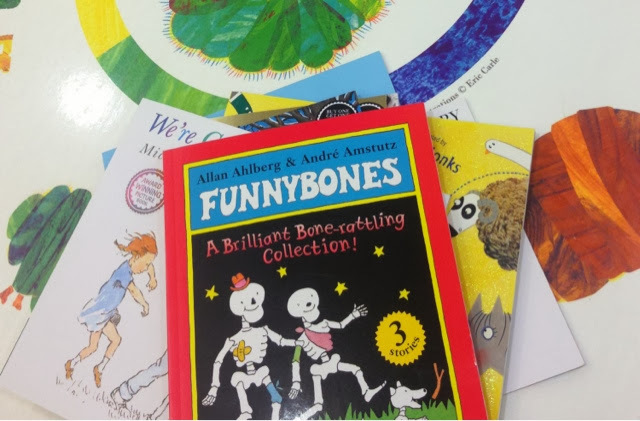 You could easily create your own glow in the dark pictures with paint, make skeletons from card and paper fasteners to play or just use the book as a way to discuss bones and how the body works. If you have the next Johnny English in the house the Spy Dog collection is definitely worth a read. You and your secret agents could then visit Gullivers Spy Zone for some problem solving fun as a family. It's perfect for little ones that dream of becoming detectives with the code breaking tasks to complete. We had a great time there last summer. A quirky story packed with plenty of tasty treats and an important lesson about greed and honesty from a well known author. Taking a trip to Cadbury's World is a great day out where you can see how chocolate is made, pick up lots of goodies on the way round and visit the giant store filled with all of your favourites. Yummy. You can follow a family as they explore grass, mud and caves in this book and then re-enact what you read! Try creating your own bear hunt by popping some toys in the garden the kids can search for or take some bears with you on your travels to the park or wood. End it all with a delicious teddy bears picnic too. A classic tale about a boy that doesn't want to grow up. I remember reading this as a child myself so it's lovely to now share it with own two! It has fast become another favourite having seen the Disney movie many times to match and we recently visited the theatre to see Wendy and Peter Pan as a family which was a great evening out. I'd highly recommend a visit too for pirate swashbuckling fun and high-flying action! A easy to read story that is ideal for pre-schoolers and young readers. This book is about a wellie obsessed little girl who wheres her boots for everything from ballet to having a bath. Why not pop on your own shoes and go puddle jumping, squelching in mud and climbing trees. I still read this to the Mini Mes aged 7 and 9 now and we all giggle away at just how much the caterpillar eats and sit in awe at such a beautiful transformation. This is the perfect book to teach about the life cycle and I think growing your own at home too is ideal for linking with this story. You can watch them get bigger before releasing them as butterflies into the wild. This is an all time favourite which is very cleverly thought out and features some great poetry. For some family fun you can head out to Thorndon Country Park in Essex where they have an amazing Gruffalo Trail! Complete with owl, fox, mouse and more it's certainly a great way to spend an afternoon - it's great exercise too! Speaking of trails, the Forestry Commission has 13 sites where you can have plenty of fun based around the Stick Man book. You can make your own character, build dens and spot hidden items or simply download and print a variety of activity sheets including quizzes and drawing from the website. Those are all fabulous books - the only one I have yet to read is The Girl Who Loved wellies! Aw, that's so sweet Jo. We play acted The Tiger Who Came to Tea this week for this challenge which was great fun. I'm looking forward to checking out the upcoming Gruffalo trails, although we missed the Stick Man ones. Great list.